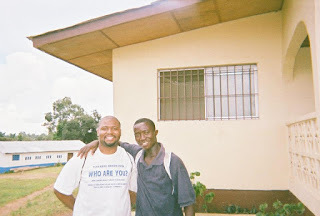 During my time in Liberia in 2012 I met a man who asked for some financial help. I decided to give him $20.00. After thanking me he walked off extremely excited jumping up and down praising God with a large smile on his face. Someone noticed my confusion with how excited he was and asked me what I was thinking. I responded that "I knew he would be happy, but not that happy." I was then told that 1 U.S. dollar equaled (at that time) roughly 70 Liberian dollars. So what was only $20.00 to me was about $1,400 to him! Don't hesitate to give your time, money, or any type of assistance to someone in need. It may not seem like much to you, but you never know what it will mean to them!